Comodo Unite (formerly Easy VPN) is a program which can create a secure and private network between remote computers, perfect for gaming and an alternative to Hamachi. Within the network, users can chat, share files, screens and remote control of a PC, along with gaming functionality. 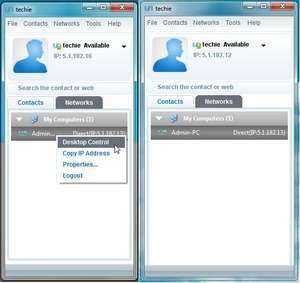 Using Comodo Unite is easy: Once you create an account and a password, you can join or create a local network with individual IP addresses with additional options. In terms of security, Comodo Unite offers 128-bit encryption. Version 3.0.2.0 is a freeware program which does not have restrictions and it's free so it doesn't cost anything. For security reasons, you should also check out the Comodo Unite download at LO4D.com which includes virus and malware tests. Additional screenshots of this application download may be available, too. 4.8 out of 5 based on 68 ratings. Comodo Unite download been highly rated by our users.